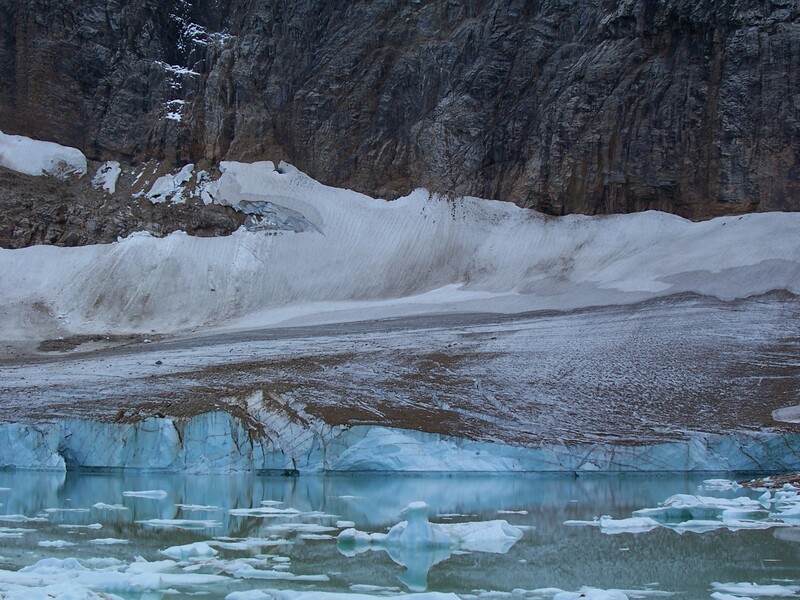 In 2012 the Ghost Glacier slid off the face of the mountain and into the little lake below, this caused the road, parking lot and hiking trails below the little lake to be washed out. 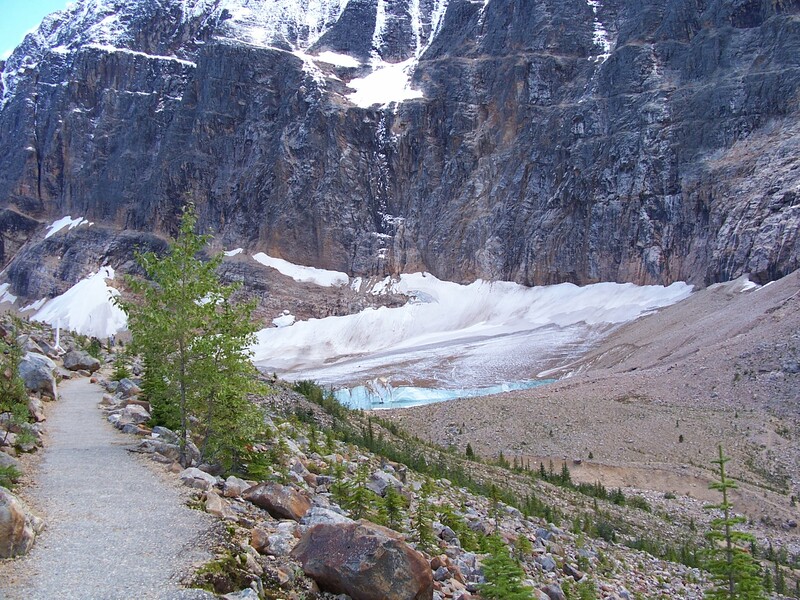 The road is seasonally closed – so if you’re planning on visiting it’s best to check the Parks Canada website to make sure that it is open. 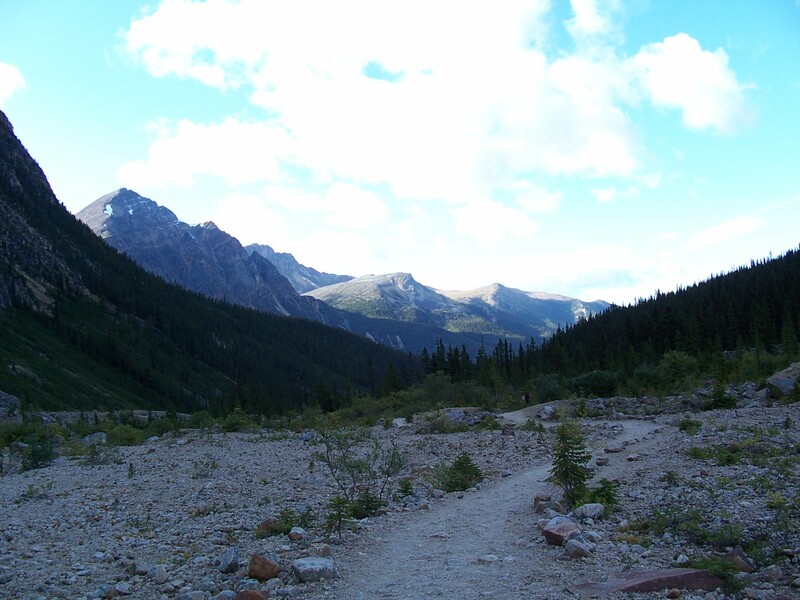 I hiked the trail down to the little lake at the base of the mountain in 2008 and 2011. The last time I visited (in September 2014) these trails were closed off partway along, and I couldn’t get down to the lake. It was a shame, but I think it was in the interest of safety in case of further glacial movements. Spot the Golden-mantled Ground Squirrel! When I was able to hike down to the little lake, it is a truly amazing landscape. 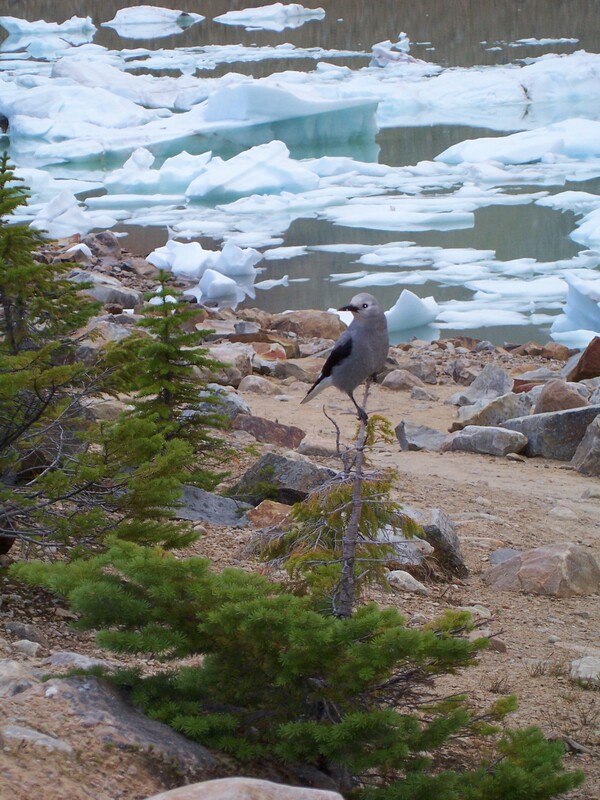 There were large chunks of ice along the shoreline of the lake, which had a beautiful blueish colour to them. On the way back down to the parking lot we hiked through the regenerating forest – there were many small trees growing. I think this would be an example of succession – however a lot of these trees were washed away when the Ghost Glacier collapsed into the lake and the subsequent outwash from the lake washed/eroded the soil away. 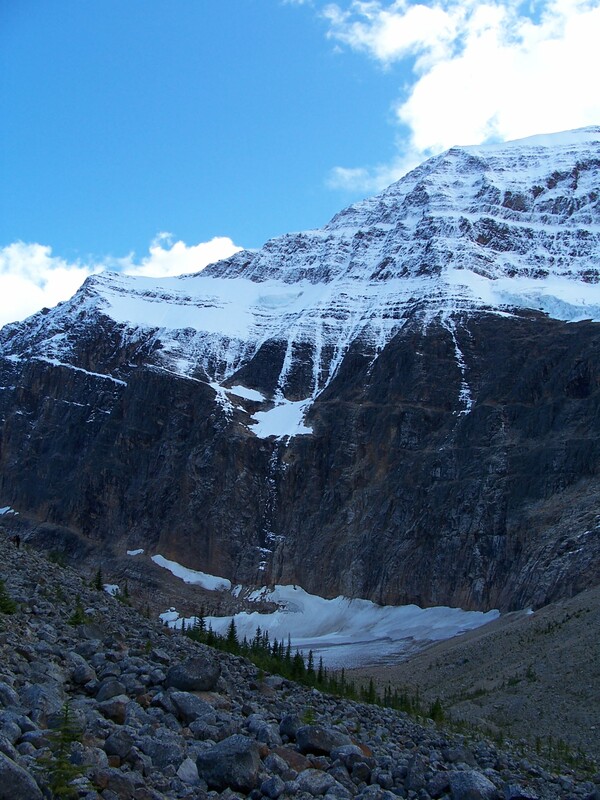 If you have time, Mount Edith Cavell is definitely worth the visit. 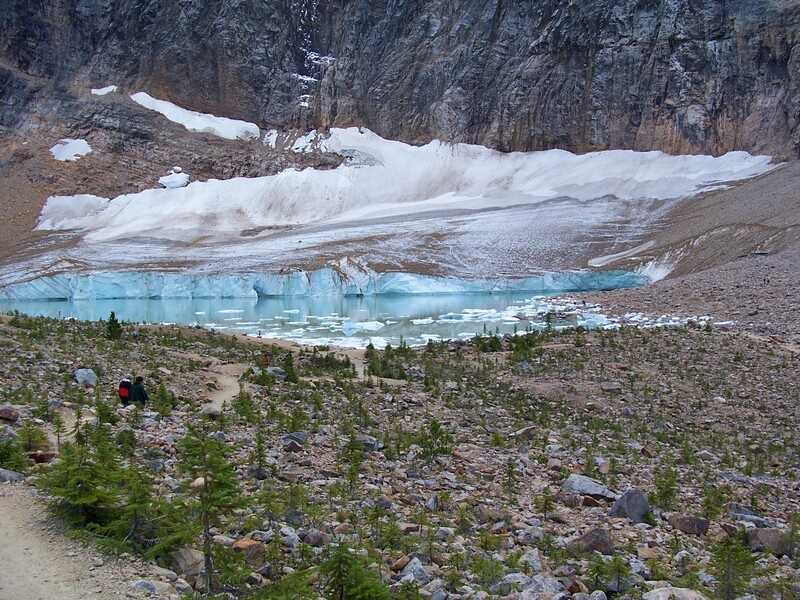 Even if the trail to the lake is closed, the hike to the viewpoint will still give you some excellent photo opportunities, and there is the possibility of doing the longer Cavell Meadows hike. Have you ever read the story of Edith Cavell, Rob? She was a very strong willed woman, for sure! We went here in 2013, the year after the flash flood after the sheet if ice had come of. You could really see there had been strong forces involved! But I mostly remember the trip up there as we spotted a Lynx! 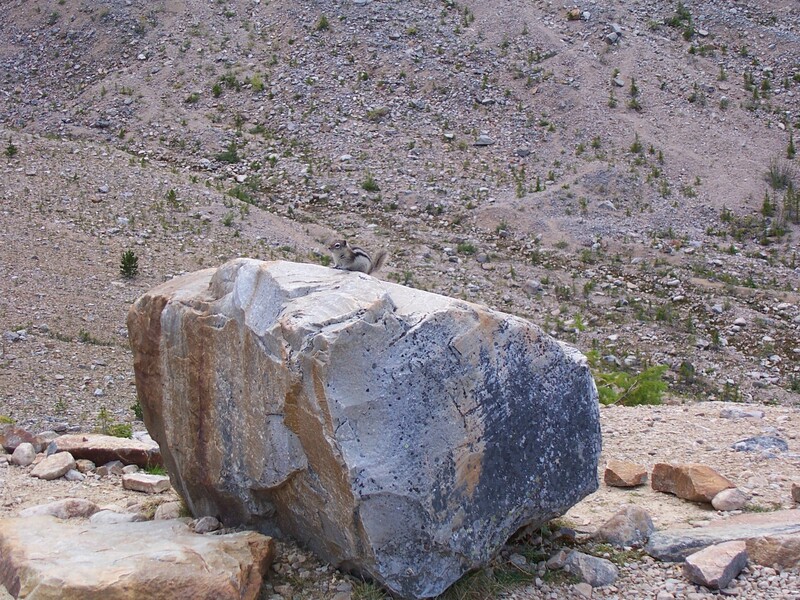 First time I have ever seen one in the Rockies. We always enjoy the walk. It was nicer when you could do the full loop, but as you say, the trail closure is probably for safety reasons. Great area for a hike and watching for wildlife. 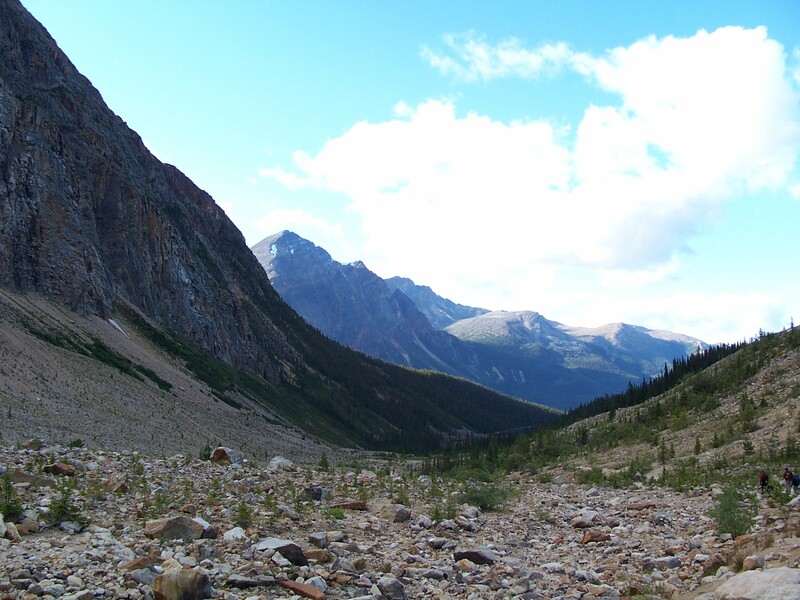 Jasper is one of our favorite areas to visit. We were just there last Sept. 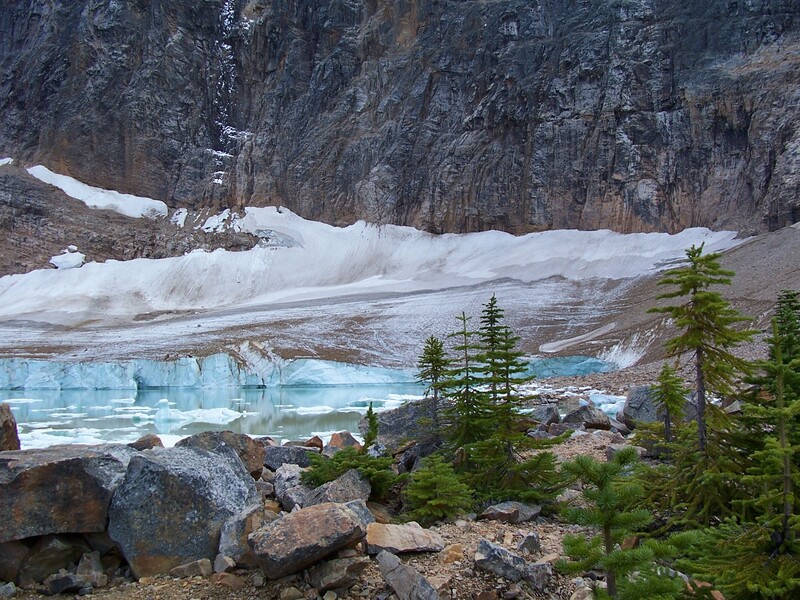 The colours of the glacial lakes look postcard like. It truly is amazing. So proud of our country. Looks like a gorgeous spot! Thanks for sharing the great pictures, too!